1. MEMORIAL DAY: Happy Memorial Day to everyone. I hope you are enjoying the long weekend. No school tomorrow, see you on Tuesday!! 2. BIRD TEST: Don’t forget, we will be having our Bird Test on Tuesday. Please go over the study packet that came home last week. This week, we will begin our last animal unit, mammals. 3. PTO PIZZA LUNCH: On Thursday, the PTO will be providing the whole school with a pizza lunch. You do not need to bring a lunch that day unless you will not be eating the lunch that is being provided. 4. 4th QUARTER MATH TEST: On Friday, we will be taking the 4th Quarter Math Test. This test will cover the 18 essentials that were covered in second grade. We will be reviewing for this test on Tuesday, Wednesday, and Thursday. Watch for these review sheets to come home with your child. 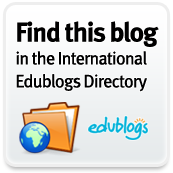 Please help your child review areas that are causing them difficulty. This test will be used for the math grades on the report cards. 5. 2nd GRADE CELEBRATION: We will be having our Second Grade Bash at Somerset Pool on Tuesday, June 8th. If your child did not bring back the permission slip for the pool, please have them bring it in on Tuesday. If your child does not have a filled out, signed permission slip, they will not be able to swim. Today Eisenhower had its annual talent show. We had our very own Abigael, Brooke, Lauren, and Sydney perform in several acts. You girls were AWESOME and we are very proud of you!!!! We had a beautiful day for our zoo trip!!! Since we all separated when we got there, it was hard to get pictures of everyone, but here are a few that I took. A great big thank you to all of our wonderful chaperones who joined us!! May 28, 2010: And the Winner Is…. This week Mr. Zielinski announced the Smile Ticket winner for the school year for each classroom. The person who has received the most smile tickets this year from each classroom got to have a pizza lunch with Mr. Zielinski. CONGRATULATIONS TO OUR WINNER!!!!! If you would like to know who it was, just scratch off below. Wow, we only have 2 more days till we visit the Detroit Zoo!! Here is another zoo animal puzzle to try out. I wonder if we will see this animal at the zoo!!! 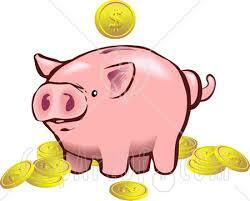 This week we are collecting coins to help a little boy in Mrs. Ricci’s class. He needs money so that he can go to China to recieve an umbilical cord stem cell blood treatment. We will be collecting money until Friday. The grade level that collects the most money will get an extra recess and popcicles!! So let’s bring in those coins second graders!!!!! 1. LIBRARY: We will not be going back to the library any more this year. Don’t forget to bring your books back tomorrow. 2. REPTILE TEST: We will be having a test on our Reptile Unit tomorrow. A review packet should have come home last week. Don’t forget to study. 3. SPELLING REVIEW: We will be having our pretest on Monday on the second half of our spelling words. If you get 100% on Monday’s pretest, you will not have to take the test on Friday. Whatever words you miss on Monday, will be the ones that you are tested on on Friday. 4. RESEARCH PACKETS: Don’t forget your research packets are due back to school by tomorrow. We will begin writing our research papers this week and you need your research here so that you may begin. 5. END OF THE YEAR CELEBRATION: We will be walking to Somerset Pool for our end of the year party on June 8th. Information regarding this was sent home on Friday. We need a white form filled out for each child if they will be swimming. We also need the yellow paper filled out by everyone and returned to school. 6. 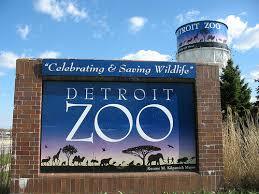 ZOO FIELD TRIP: We will be going to the Detroit Zoo on Thursday. Watch for a reminder note and last minute information to come home this week. 7. COUNTDOWN: Only 12 1/2 days left….Come ready this week, we still have A LOT to do!!! I just found this really cool site with some more animal games. It is called Switcheroo Zoo. You can make your own new animals, build an on-line habitat, play a “Where Do I Live?” game, sort animals by what they eat, do some animal puzzles and more. If you would like to go to the site, just click on the picture below and it will take you there. Try some of them out and let me know what you think of them. Since we are going to the zoo next week, I thought it would be fun to try out some animal puzzles. I tried a different cut for this one. Try it out and let me know what you think. Too easy, too hard?